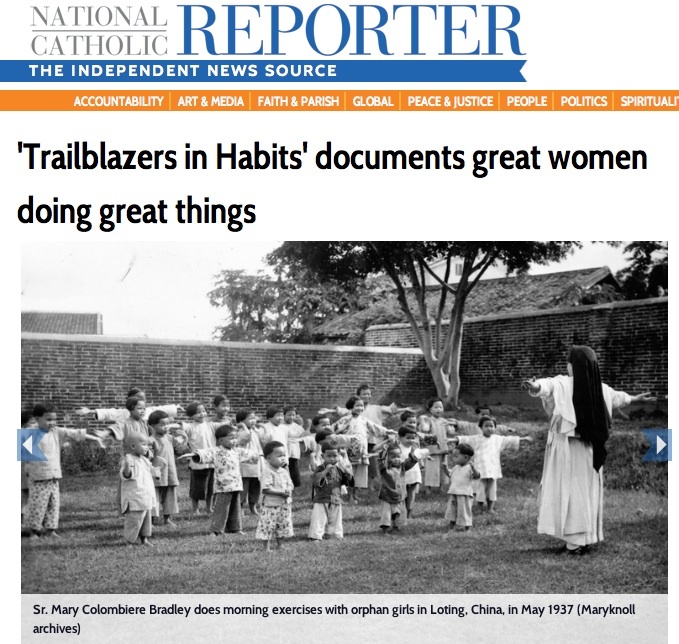 “The hardest decision is out of the 42 Sisters we interviewed, we could only use 12 in the film – we had to keep on cutting and cutting…” Director Nancy Tong speaks to Sister Rose Pacatte on the making of Trailblazers in Habits. “Trailblazers in Habits is a story of hope fulfilled, a faith that continues to invite, and life lived in love for God and others in community,” writes Sister Rose Pacatte, well respected film reviewer and commentator in the USA. “Film pays tribute to city’s big sisters” – South China Morning Post published article on the film. 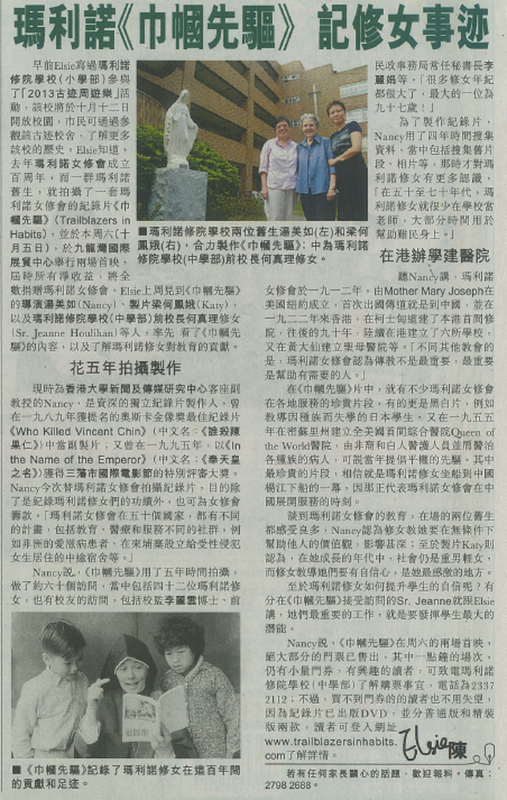 Sing Tao Daily on "Trailblazers in Habits"
Sister Jeanne Houlihan M.M., former principal of Maryknoll Convent School Secondary Section, and featured in the film, was interviewed by Sing Tao Daily on October 2, 2013 – 2 days before the premier of the film in Hong Kong. With her are Katy Lang, Executive Producer, and Nancy Tong, Producer/Director.